This large-scale upland farming tractor, with up to 170 horsepower, has greatly improved features and is easier to use, with better customization options and manoeuvrability. The main innovation in this M7002 model is the new 6-speed Powershift transmission, under load in 30/15 or 54/27 if equipped with creeper. Some of its specifications have also been improved, such as the increase in maximum permissible weight to 11,500 kg, offering a greater payload, together with efficient engine performance focused on increased power and lower fuel consumption. This all increases the productivity of the tractor, which can be driven at a speed of 50 km/h. The tyre size range has been increased, with the incorporation of 600/60R28 sizes for the front axle and 710/60R38 for the rear axle, minimizing compaction and maximizing traction. 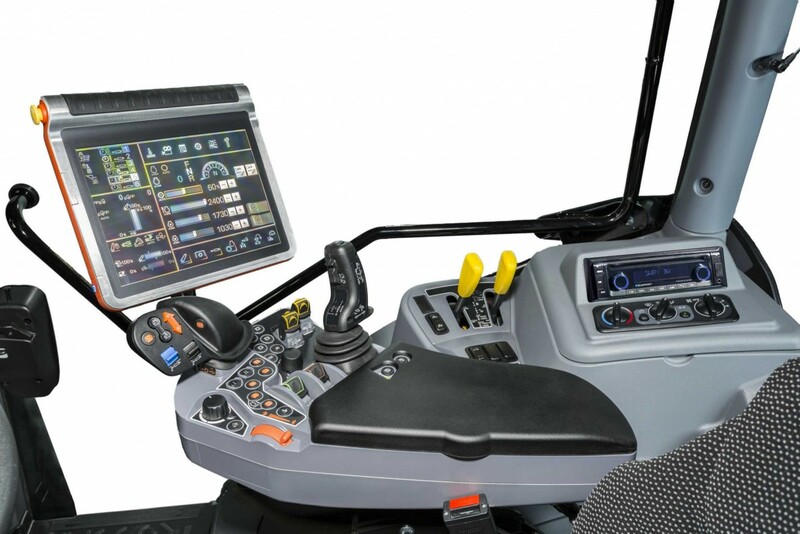 Technology is another of the strengths of the new M7002 tractor thanks to improvements in the operation of the main joystick and the increased HMS header memory making work notably easier. Autosteer has been optimized, giving it a new “nudge” function, for example. Thanks to this, the driver can see the distance from the set route in centimetres, and several set routes can be created per field, up to a maximum of 20. 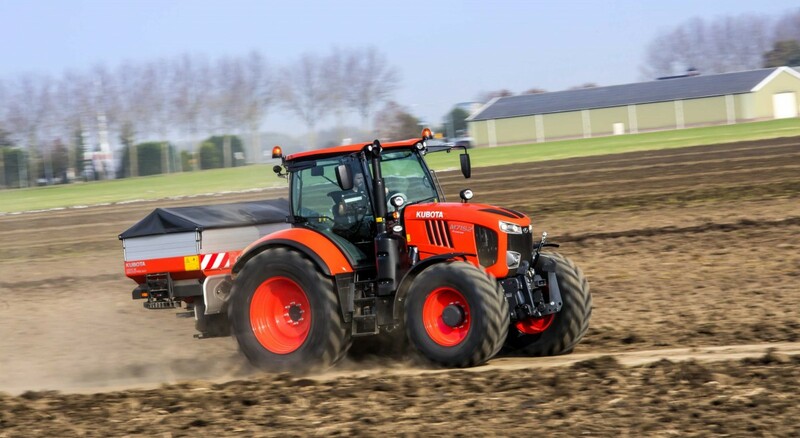 High levels of comfort inside and out The Japanese manufacturer knows that working in comfort ensures high productivity, so the new Kubota M7002 adds suspension and low-noise options to the comfort features already recognized in its predecessor, the M7001, as well as other new elements. These include the Deluxe MSG95AL741 seat, for greater comfort during tough working days. Along these lines, it also includes LED working lights for better visibility and a higher quality finish inside the cabin. Finally, to complete the benefits of the new M7002, Kubota has increased the customization options based on the standard model. This means it is possible to fit electric rear-view mirrors and an internal light for greater visibility. The engine tuning of the M7002 series has been optimized in comparison to its predecessor. The maximum power is now available at a lower level of 1,900 rpm. This results in improved performance, particularly during PTO work. Fuel consumption is also significantly lower thanks to the engine update, which makes the M7002 more efficient and less thirsty. The maximum torque is reached at 1,500 rpm, resulting in improved efficiency. The M7002 series is equipped with a new 6-speed Powershift transmission with 30 forward 15 reverse gears (F54/R27 with creep speed). This leads to an improved shifting performance. There are two Powershift overlaps between each speed, which makes shifting gears easier. With the new Powershift transmission, the M7002 now also knows to impress with faster and easier gear shifting through more gear speeds than before. The entire cover material in the cab is new. Thanks to the new indoor material, the cabin is now better protected against scratches and other damage. The interior will therefore last longer. In addition, all control buttons have been ergonomically designed. In order to increase driver comfort, a new, more comfortable premium-seat is now fitted as standard. The new seat provides a better suspension and upholstery, bigger armrests, and much more. The cabin seal has also been improved, resulting in lower noise levels in the cabin. The work lights are now available with LED, which improves illumination while at the same time reducing power consumption. New buttons at the rear of the tractor simplify your work on the rear implement. 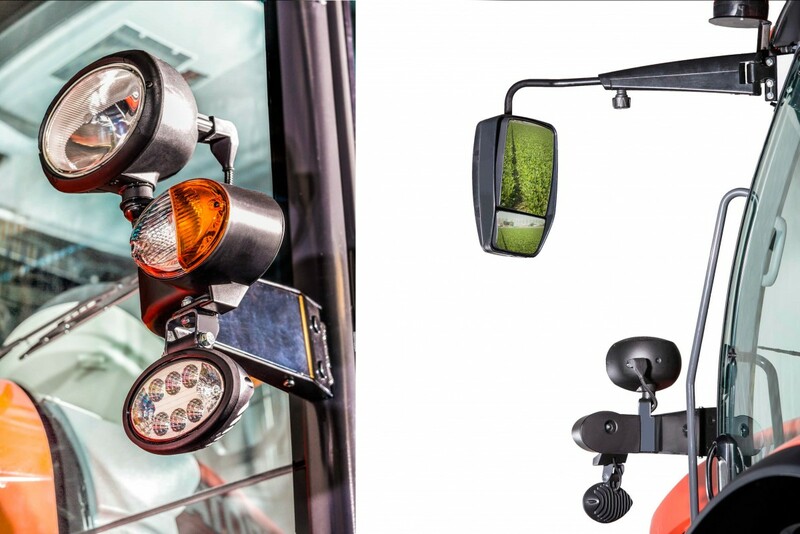 New electrically adjustable, heated rear-view mirrors improve visibility and safety. The new design of the exhaust system reduces noise and improves the forward view. 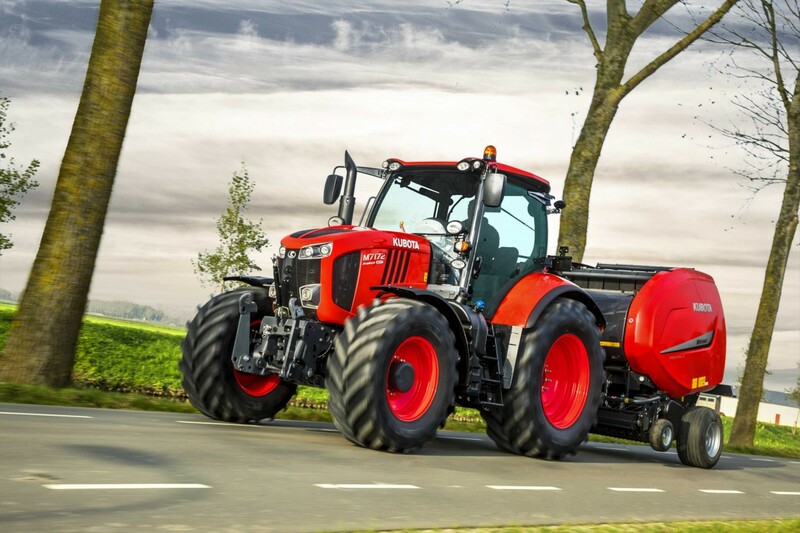 All M7002 tractors are approved for 50 km/h as standard. The new permissible total weight of 11,500 kg increases the number of implements that can be used. Additional tire options reduce ground pressure, and the tractor has even more to offer.